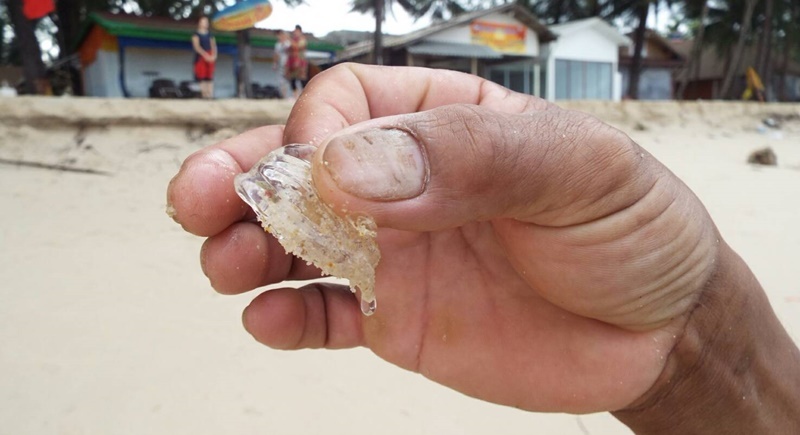 PHUKET: Thousands of tiny jellyfish were found washed up along a 10 kilometre stretch of Phuket’s west coast yesterday (Sept 18) with some beachgoers complaining of skin irritations after coming into contact with the creature. 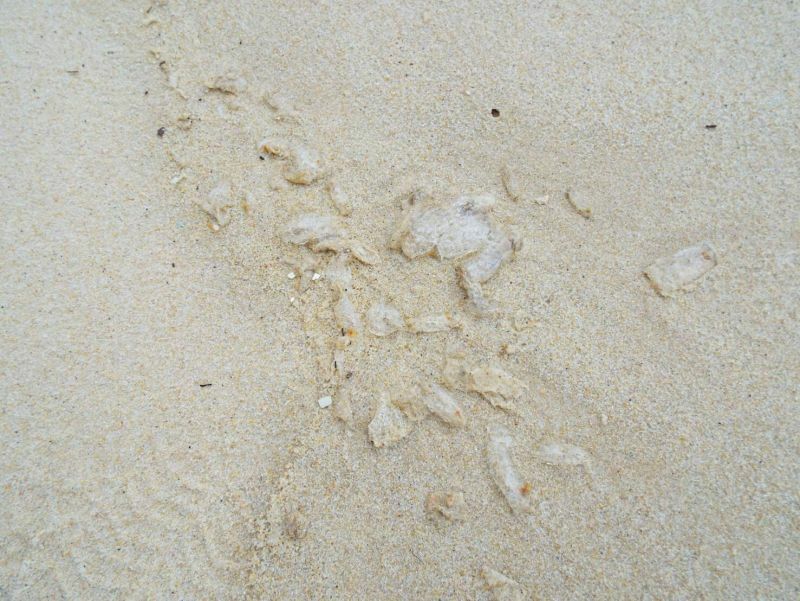 An official manning the Cherng Talay emergency hotline received a call from a local resident at 7:45am where it was reported that thousands of an unknown specie of jellyfish had washed up along a 10km stretch of beach running from Bang Tao to Laguna. It was said that some of the jellyfish were dead, but some were still alive. It was also said that some people had suffered rashes and itchiness after coming into contact with marine creature. 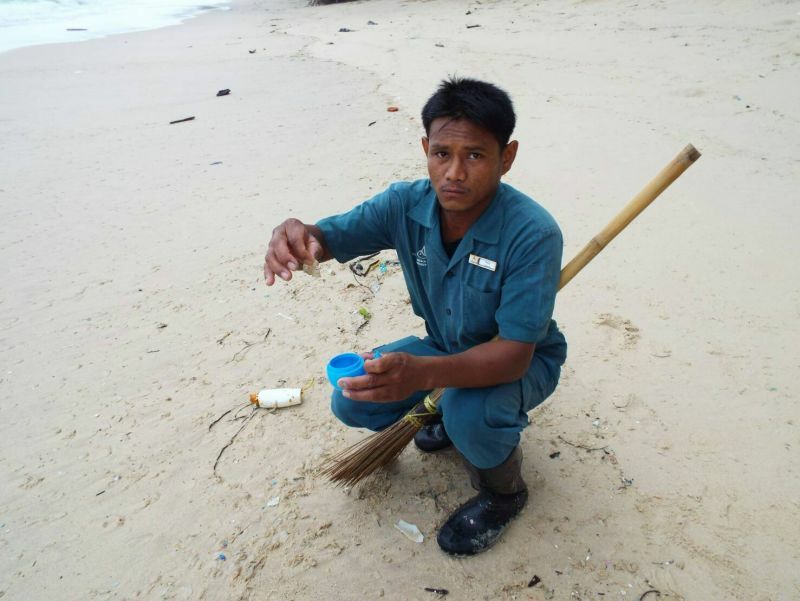 A gardener from the Amora Hotel and Resort, Mr Dang Einpraton, 29, said, “I have been taking care of beach in front of the hotel for over three years and have never seen this type of jellyfish. “It looks harmless because its so small, but one of our security guards touched one and he quickly got a rash so we alerted other people in the area and sent our staff and guards to warn tourists on the beach about the potential threat,” Mr Dag said. 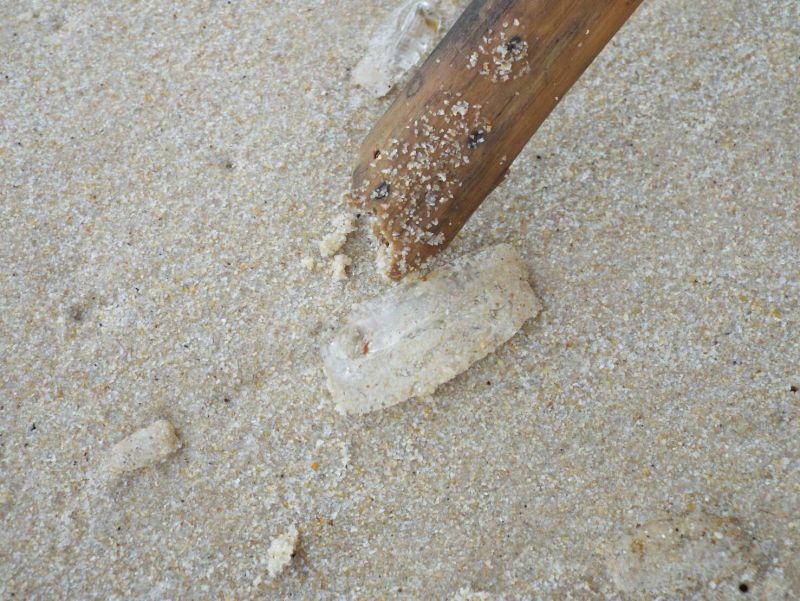 “I was told that last year this type of jellyfish washed up on beaches in Chumphon province, and that officials there said that it was not a jellyfish but a type of sea jelly which is known among locals and fishermen as a ring jellyfish. 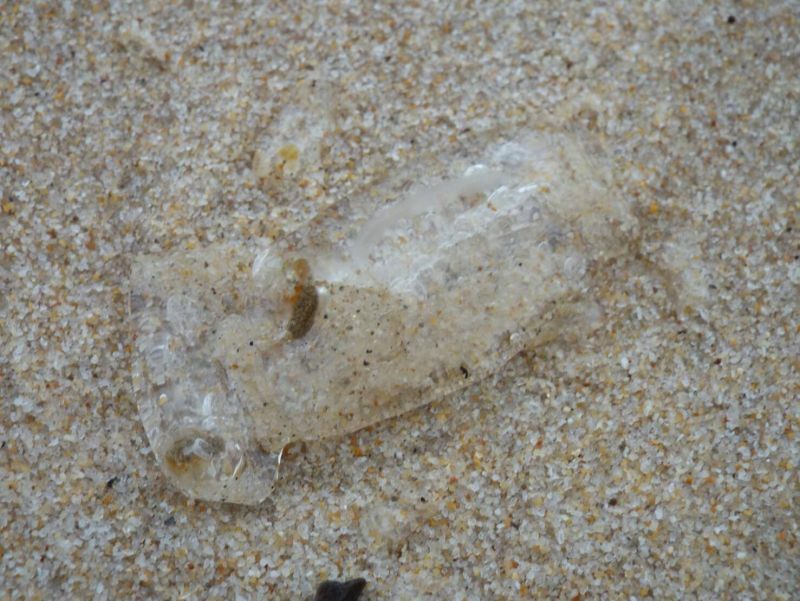 “A report at that time said that this type of marine animal comes to the shore for food, and if the beach is dirty there is a lot of nutrition for them. In addition, the abundant food supply and warm temperature from the sun encourages plankton bloom in the area that will attract them. “We are waiting for local marine experts to come and maybe they can tell us what specie this is,” he added.